CLARE County Council has estimated the total damage caused by Storm Christine in County Clare at €23,761,043 with Lahinch being the worst affected. At a specially convened meeting of Clare County Council on Friday, members were given an outline of a preliminary storm damage report, which estimated the total damage caused in Lahinch at €5,842,390. 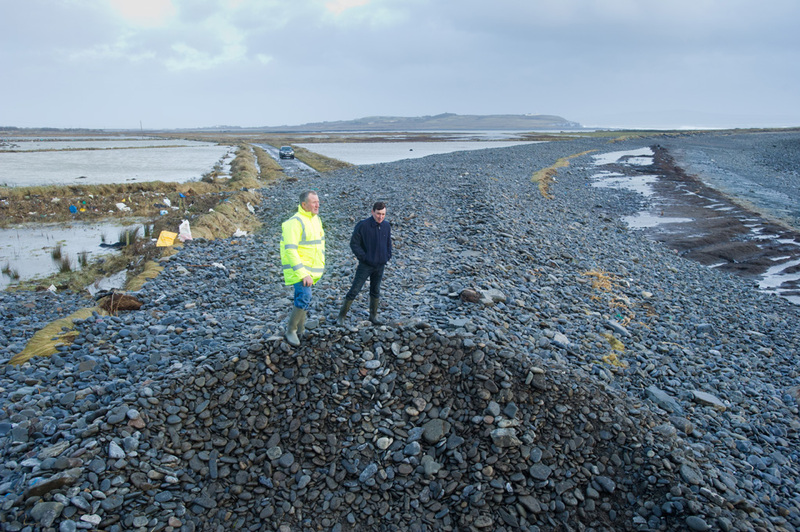 Farmers Vincent Hedderman and Matthew Carmody of Rahona, Carrigaholt, examine the road between Rahona and Kilbaha where the sea covered the road. Photograph by John Kelly. The next highest cost of repairs was in Kilbaha, estimated in the region of €3,423,950. Meanwhile, repairs at Cloughaninchy, Quilty are estimated at €2,581,250. 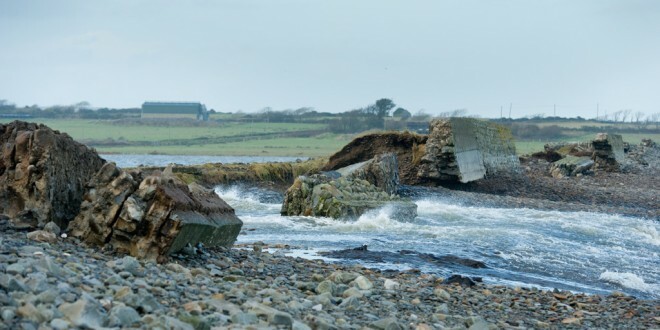 Storm damage in New Quay amounted to approximately €1.854m, while the repair works necessary at Carrowdotia in Moneypoint are estimated at €1,115,400. Councillors viewed CCTV footage of the storm captured at Lahinch promenade. A contingency fund of €2,160,095 was also included in the preliminary report, and costs of non-coastal repairs were estimated in the region of €190,000. Meanwhile, water services issues relating to the storm came to approximately €20,000. Senior engineer Tom Tiernan outlined in the report that the council also recognised the importance of supporting private entites in whatever way possible arising from damage caused by the recent coastal storms. Among these he mentioned Doonbeg Golf Club, extenstive tracts of land which flooded in Ballynacally/Kildysart and the curtilage of Shannon Airport. “The council will put whatever resources it can towards assisting entities such as the foregoing in their endeavours to secure funding relief to ensure that the various enterprising roles which they are fulfilling in County Clare can continue as effectively as possible,” Mr Tiernan said.